Are We Sending Kids to College Too Early? Studies show there is a massive uptick in depression, anxiety and even suicide among college students. What could be the reasons for this? In this episode of The Brain Warrior’s Way Podcast, Dr. Daniel Amen and Tana Amen describe how timing in brain development may be a major factor in how a young person handles their college experience. Daniel and Tana also illustrate which supplements may help to combat these issues. Tana Amen:	And I'm Tana Amen. Here, we teach you how to win the fight for your brain, to defeat anxiety, depression, memory loss, ADHD and addictions. Dr. Daniel Amen:	Welcome back everybody. We're having so much fun doing this podcast. Tana Amen:	Although our guests keep thinking that we're crazy. Dr. Daniel Amen:	We are crazy. Just own it. Brain Warriors way. So, this is from my nickname 247, I really Dr. Daniel and Tana Amen. They are full information for brain health. The podcasts are short so it doesn't take a lot of time to listen to. However, they contain helpful and interesting information about optimizing your brain health and your life. They are also a delightful couple. Tana Amen:	Oh that's awesome. Tana Amen:	Oh how fun. Dr. Daniel Amen:	Your show has changed some of my family member's views on health. Thank you, in capital letters, for that. I've been trying for years. Your dedicated listener, Erin. Tana Amen:	That's awesome. How fun. Dr. Daniel Amen:	Erin, thank you so much. Tana Amen:	That's so fantastic. Dr. Daniel Amen:	We are grateful. Tana Amen:	But you've been saying this for a long time. Isn't it usually the first year, I mean the first two years, but especially the first year that's the hardest. Don't kids sort of freak out when they first move away from home? Dr. Daniel Amen:	Well, they do, and we send kids away early, too early I think. Now, I know, we're going to get hate mail for this. I went to Yale, and I was just fine even though I got drunk three weekends out of four. Tana Amen:	Well, and the freshman 15. It's there for a reason. Dr. Daniel Amen:	Right. So let's get this clear. Your brain is not finished developing until you're 25 in girls, and it's more like 26 or 27 in guys. I hate that. Why are we always behind. That's sort of irritating. Tana Amen:	Could of told you that a long time ago. Dr. Daniel Amen:	Was that kind? Tana Amen:	It's just true. Dr. Daniel Amen:	Was it kind? But was it kind? Tana Amen:	I've never been known for being kind over truthful. Dr. Daniel Amen:	Didn't Chloe say something about that recently? Tana Amen:	Yes. My daughter follows in my footsteps. Dr. Daniel Amen:	No question. So your brain is not fully developed, especially in the front part of the brain, so the front third of the brain, largest in humans and any other animal by far, it's called the prefrontal cortex, 30% of the human brain, 11% of the chimpanzee brain, 7% of your dog's brain unless you are Frazier, our bulldog, who's probably no more than 4%. Cats have 3% prefrontal cortex. Tana Amen:	That explains a lot. Dr. Daniel Amen:	Mice have 1%. So, if the most human, thoughtful part of your brain is not fully developed, yet we send kids away where they have no supervision, where they're most influential sources are their friends who are getting drunk on the weekend, what I've seen as a child psychiatrist is that is often their first suicide attempt. It is often their first psychotic episode, and I just think we have to be more protective. Dr. Daniel Amen:	Does that mean, you're actually going to listen to me? Tana Amen:	No. Not necessarily. But it would seem to me that, as a parent, and seeing my daughter's friends, and a lot of the parents that I know, especially in our neighborhood, that a lot of it has to do with how you raised your kids as well. So, so many kids are over sheltered while they're home. They're very, very sheltered while they're home, or their parents control very much of what they do, and then all of a sudden, these kids go off to college, and they don't really know how to do a lot for themselves. So now you've got another problem right there, and that's why some of the kids have no clue how to take care of themselves. Dr. Daniel Amen:	So let's talk about the factors going along with the increase in childhood anxiety and depression and then what to do about it. Dr. Daniel Amen:	So, 80% of the population is low in magnesium. Dr. Daniel Amen:	And there's actually a new study showing magnesium, by itself, was an antidepressant. Now, where do you get magnesium in food? Tana Amen:	Green leafy vegetables, for sure. Dr. Daniel Amen:	And when you think about, even though colleges have salad bars, many of them. Tana Amen:	Yeah, no pizza. Pizza. 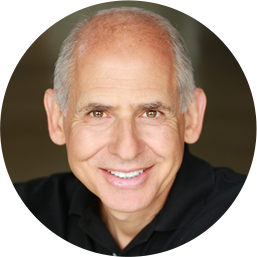 Dr. Daniel Amen:	It's the kids that are overwhelmed and behind often grab the simple things. Tana Amen:	Well, and it's study groups with pizza or whatever fast food. Dr. Daniel Amen:	It's fast food. Dr. Daniel Amen:	So their diets are not right, and you had already mentioned the freshman 15. Tana Amen:	And colleges aren't making it easy for kids because dorms are set up for healthy eating most of the time. Dr. Daniel Amen:	No, and it's group think a lot, which, at that age ... At least, I remember when I was that age, and that was not a great group think. Although, for me, I actually didn't go to college until I was 20 because I went in the army, and even though it was group think, we still had parents. Tana Amen:	It's the ultimate mom. 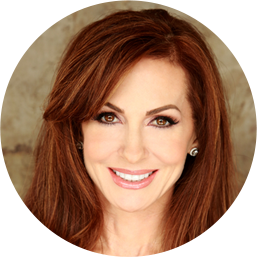 Dr. Daniel Amen:	I often say it's the ultimate good mother because the rules are really clear. When you follow the rules in the army, they reward you. They promote you. They give you more money. Dr. Daniel Amen:	They put these cool little ribbons you can put on your uniform, and when you don't, the discipline is clear. Tana Amen:	Harsh and swift. Dr. Daniel Amen:	It's quick. It's unemotional. Tana Amen:	Lots of consequences. Dr. Daniel Amen:	Right, and so, that really helped, so I actually started college a little bit later, and that really helped me grow up. I'm actually convinced it's why I'm a medical doctor, because if I would've started when I was 18, and still fairly immature, I think, I wasn't really grounded. I was really more interested in girls than grades. Tana Amen:	Your grades weren't what they were when you finally did start college. Dr. Daniel Amen:	Not at all. So, I think it just ... It's okay to keep them home a little bit long. Tana Amen:	If they need to be. Dr. Daniel Amen:	If they need to be. And obviously here at Amen Clinics, we see a lot of teenagers who have ADD, anxiety, depression, and I'm like completely opposed to sending them half way across the country or all the way across the country where they're not being supervised on a regular basis. Tana Amen:	Yeah, so this interesting to me. I don't know where this started, and maybe this is just my perception based on sort of our area and where we live. This idea that sort of like it's kids against parents, and we need to make our kids do something, and the kids are going to not get it done, and I don't know. It's a little weird to me. As a parent, it would seem that we would want our kids to do the absolute best they can do and support them in getting that done. We want to make sure that our kids are successful in life. That's really what the goal is. Make them responsible human beings and successful in life, and trying to figure out what's going to help them become that, even if it's not maybe your ultimate dream and idea of how that should happen. Maybe you need to step back for a second and go, "Hmm. How can I be creative? How can I be helpful? How can I set my child up for success?" And maybe it's not going to be the traditional way, but maybe it will still work. I always tell Chloe that the most successful people in the world that I know, they think of a thousand ways to do things. They think outside the box, and they rarely do it just the same way everyone does it. So be willing to be open and think about how you might be able to support your kid, and maybe it's not that traditional way, but maybe it will work. Dr. Daniel Amen:	So let's talk, also, about some other causes. Low vitamin D because kids aren't outside in the sun. Dr. Daniel Amen:	They are playing video games. Tana Amen:	And let's be honest. You recommend ... I know because I've heard the story a thousand times. You recommend supplements and vitamin D supplements, specifically things kids are low in, for kids who are in college, and they're so busy, they forget to take them. Set your phone. Dr. Daniel Amen:	Another reason to keep them home a little bit longer. Dr. Daniel Amen:	And educate them so they know why, in fact, they need them. That's what we find with Chloe, and we have a high school course called Brain Thrive by 25. It's free, so you can go to brainthriveby25.com and sign up for yourself or your kids. It's an awesome course, and it decreases drug, alcohol and tobacco use, decrease depression and improve self esteem. All that to say is when you educate kids on the right things to do and why it's to their benefit, they do so much better. Tana Amen:	And when we told Chloe that it would actually, not only help her skin, it would help her sleep better, it would help her ... But it would help her grades. And so she kept forgetting to take them initially, and so yes, at first, I reminded her, but then I'm one of those moms who's like, "You need to be responsible for your life." So I'm a little bit different that way. So I helped her come up with a strategy, but I don't sit there and hover over her and make sure she gets it done. So we put it in her phone. Just like college students, successful college students, have a calendar or some way that they stay on track. Well put that routine ... Help them to get that routine put into that calendar. Dr. Daniel Amen:	So magnesium, vitamin D. So what else is different? Dr. Daniel Amen:	At earlier and earlier ages? Tana Amen:	Seventh grade, some of Chloe's friends were on them for their cycles that were ... And there are more girls now have PCOS than ever before. More girls now have problems with their periods. More girls are on it because of their skin, and sometimes it's just an excuse. Come on. We know that it is. Dr. Daniel Amen:	So birth control pills increase the risk of depression 40%. In addition, why are female cycles being disrupted because there are so endocrine disruptors, hormone disruptors in the personal products that children use. In their shampoo, in their body soap, in their make up, and so on. I talk about this in Memory Rescue. Tana Amen:	In plastic bottles. Dr. Daniel Amen:	And plastic bottles as well. Tana Amen:	Oh big one. Dr. Daniel Amen:	To other people, and because they're not like Kim Kardashian, and Kim is actually not like Kim. Dr. Daniel Amen:	Right, on the public Kim. But if you compare yourself negatively to other people, then you feel bad psychologically, and then if you hang out with depressed people, you're more likely to get depressed. We did a podcast, and if you hold the hand of your partner, your brains actually begin to sync, so if you're hanging out with negative people, you're going to become negative. Tana Amen:	That's why I'm starting to see the world through rose-tinted glasses. That's what happened. Oh my gosh. It explains it. Dr. Daniel Amen:	It's because we hold hands all the time. I'm influencing you. Tana Amen:	Be careful. You're going to start preparing ... Oh you are? You're starting to prepare for the end of the world. Oh my gosh. That explains it. Dr. Daniel Amen:	Okay. Four quick things. Take magnesium every day. Get your vitamin D level checked. I think most people need about 5,000 units of vitamin D a day. If you're on birth control pills, you need to increase serotonin. You can do that with exercise or 5HTP or saffron. Turn off the social media. Tana Amen:	Yeah, and really limit it. I just did a segment with one of our psychiatrists, and she specifically, it's one of her specialties, is seeing college students, and the biggest thing she says she sees is kids suffering from depression because they're obsessed and addicted to their social media, and what she said she notices the same thing you said that the studies are showing the more time they spend, the worse the depression, and so that's really important. And then one thing that I started Chloe with, and it wasn't easy at first, okay because I admit, even when we travel, I still drink out of plastic bottles when we're traveling and it's inconvenient to carry something, but my daughter is actually better at it than I am. She does not drink out of plastic bottles. She takes her aluminum ... Not aluminum, stainless steel bottle, everywhere she goes. Dr. Daniel Amen:	Because she loves herself. Thank you for listening to the Brain Warriors Way podcast. 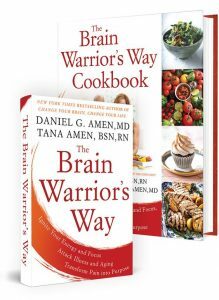 Go to iTunes and leave a review, and you'll automatically be entered into a drawing to get a free signed copy of the Brain Warriors Way and the Brain Warriors Way cookbook we give away every month.